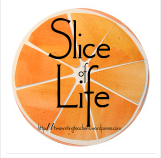 Two Reflective Teachers: Slice of Life: The tiredness would have to wait a little bit longer. Talking back to personified feelings? Sounds like a creative way to name an obstacle as part of negotiating ways around or through it. Thanks for the idea by way of Lynn Lyons and M.
We always find out so much about our learners when we ask what's getting in the way of their success. I love how you found a creative way for this child to manage her fatigue and get the on-demand assignment completed. And I'm going to remember this technique for next time I'm tired and don't think I can get through my final task of the day!